Modern yet transitional, a glimpse into an elegant transitional-contemporary style. 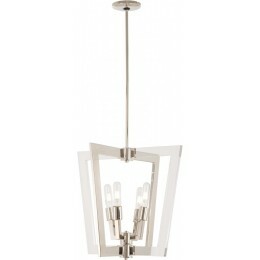 Polished Nickel and Clear acrylic airy frames showcase exposed illumination, while reflecting a soft array of light. A wide range of styles for a multitude of applications.